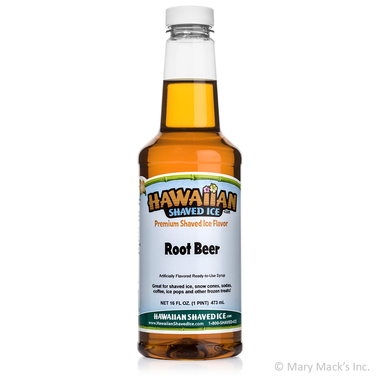 Root beer has always been a popular beverage and believe it or not, it�s also one of our top ten most popular shaved ice and snow cone syrup flavors! 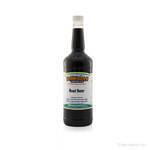 Our root beer flavored syrup has all the characteristics of a classic root beer drink that you love � a rich brown color and a fresh, crisp pop of flavor. Children and adults, young and old, especially those who love root beer, will most certainly appreciate the authentic quality of this yummy shaved ice syrup. Whether you are planning a party or looking for a refreshing way to cool off, root beer flavored syrup will be perfect for any occasion. After your friends, family, and/or shaved ice customers give this flavored syrup a try, they will quickly understand why it has such universal appeal. Hawaiian Shaved Ice is making it easy to stock up on terrific flavors like this one, as our root beer shaved ice and snow cone syrup is conveniently available in pint, quart, and gallon size containers, or as part of a custom syrup flavor package.